Apologies for the late posting. I was busy having a site visit in the morning until around 2. We were having lunch quite late, but it's worth it. 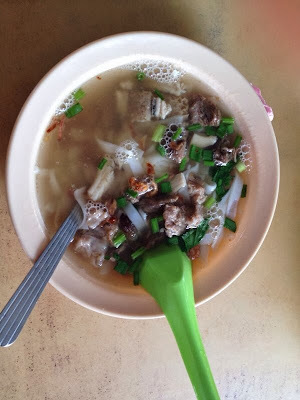 The keow teow sup around the selayang area was very nice. I am so sorry I can't remember the name of the shop. I will definitely cone again as there will be 1 month project nearby this area.